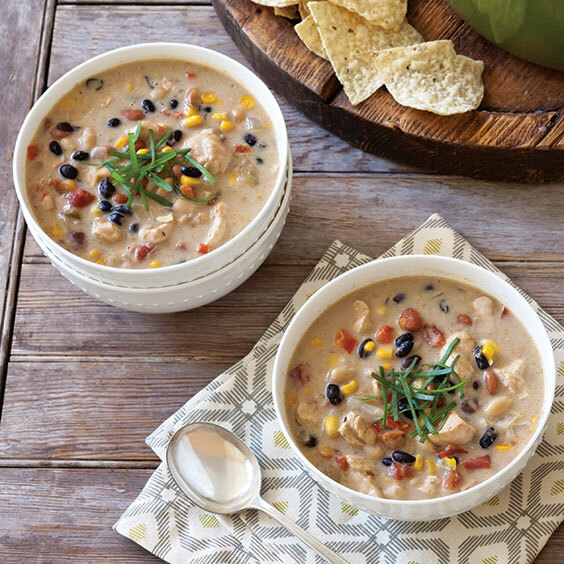 This chicken enchilada chili can be prepared in advance and refrigerated or frozen, so it’s ready and waiting for you. In a large Dutch oven, melt butter over medium heat. Add chicken and next 3 ingredients; cook, stirring occasionally, for 8 to 10 minutes or until chicken is browned and cooked through. Stir in broth and next 8 ingredients. Bring to a boil, reduce heat, and simmer for 30 minutes. Gradually add cheese, stirring until melted. Add sour cream, stirring until melted. Garnish with green onion, if desired.